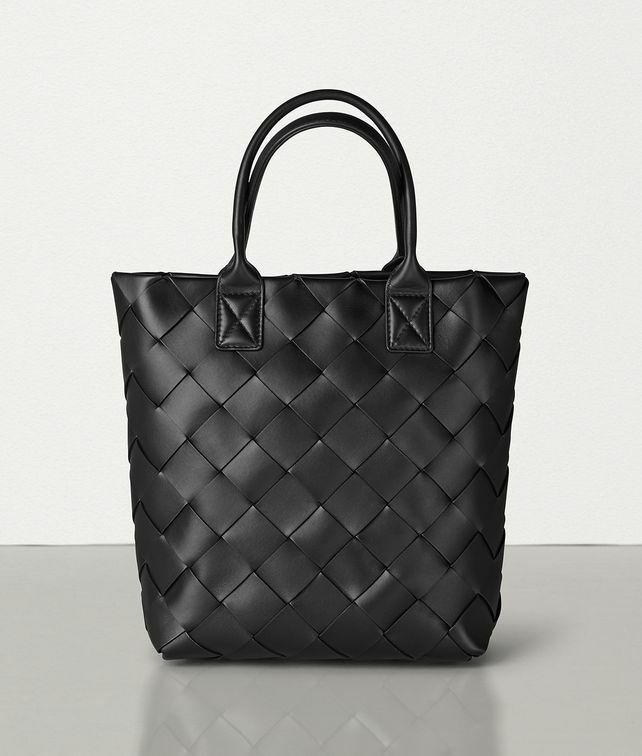 One of the first designs by Creative Director Daniel Lee, the Maxi Cabat 30 is a modern take on the iconic Cabat tote. Woven entirely by hand with oversized, double-faced nappa strips, known as fettucce, the unisex bag reflects Bottega Veneta’s deep connection to Italian craftsmanship with a contemporary attitude. Hardware: Silver finish Height: 35 cm | 13.7"